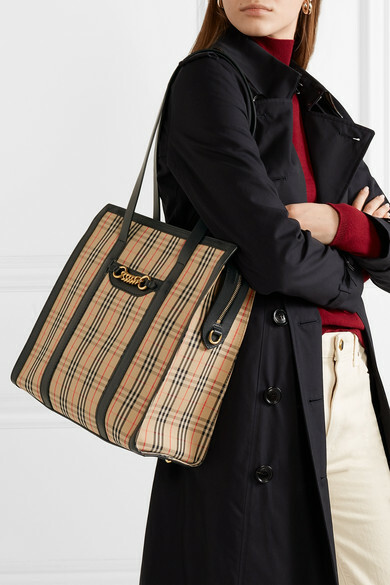 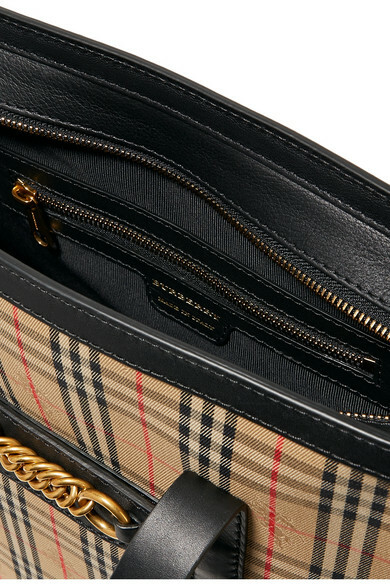 Burberry's new tote is sure to be loved by fans of the brand's heritage designs as well as those who love the refreshed, more contemporary pieces. 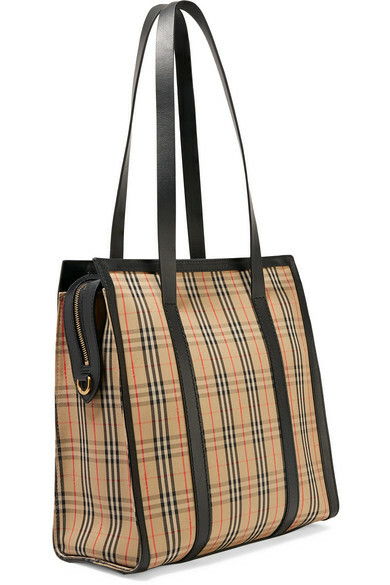 It's made from durable cotton-drill patterned with the house's signature check - look closely and you'll spot the knight on horseback, too. 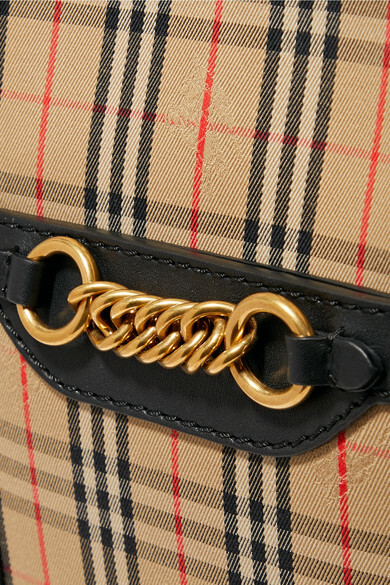 It's defined by a polished gold chain and has elongated leather straps. 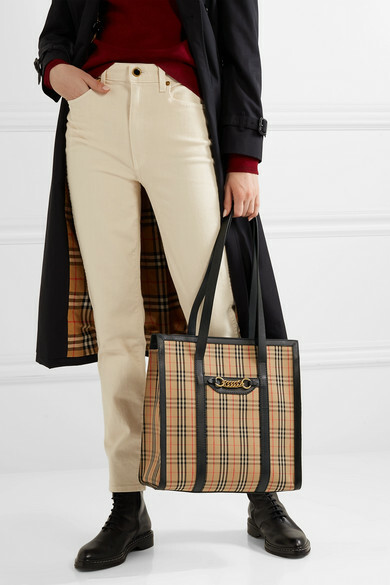 Shown here with: Khaite Jeans, Victoria Beckham Turtleneck, Burberry Trench coat, The Row Ankle boots, Leigh Miller Earrings.